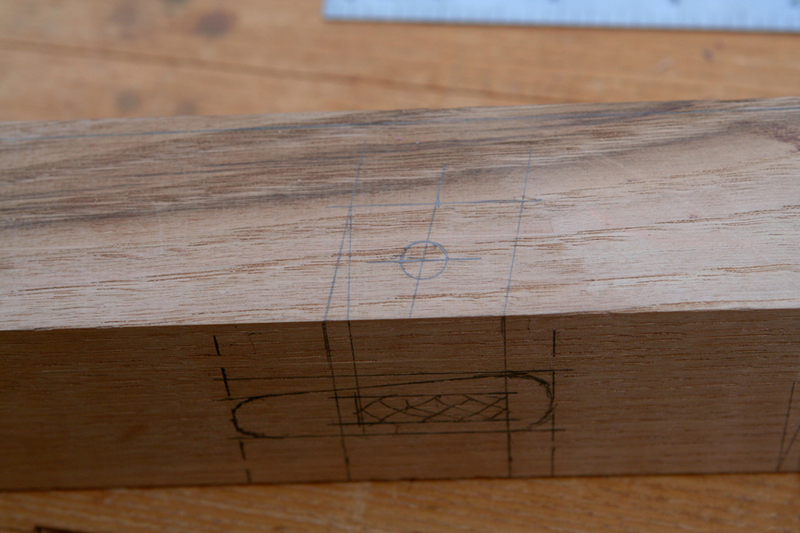 Mortise for stretcher tenons and drawbore hole shown. With asymmetrical shaping and compound angles, complete and screamingly clear layout is critical. 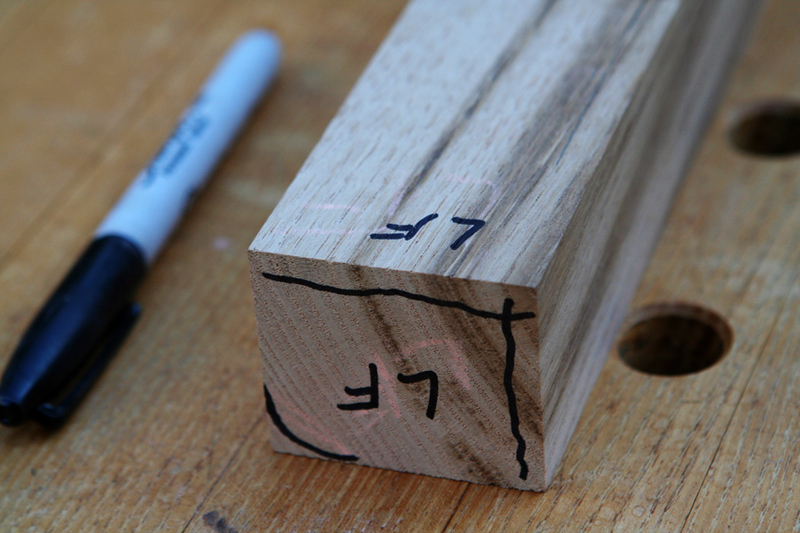 Once the mortises and holes for draw bore pegs are created it will be easier to keep track of orientations. Although positioning (FL, FR, BL, BR) will be important. Keeping track of all this is a challenge for me because much of the work is done with the stool upside down. Which makes Left and Right and all else easy to mess up. 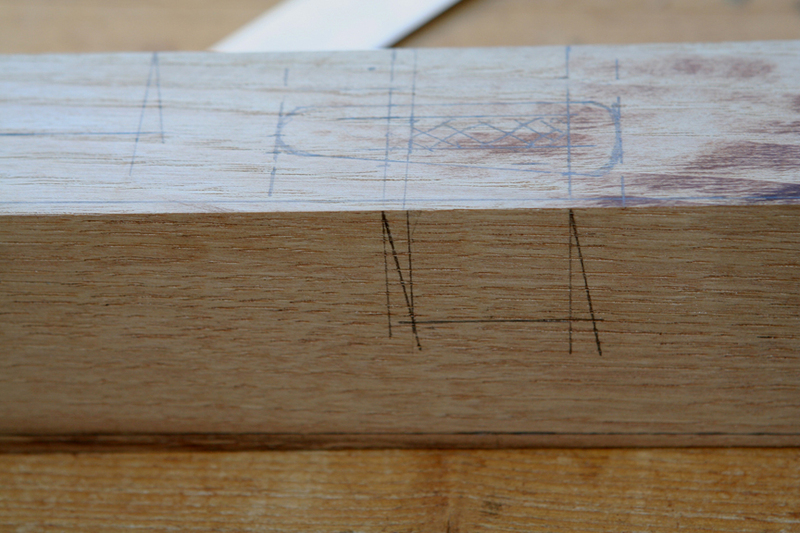 After selecting orientation and positioning of legs, the mortises and location of draw bore holes are marked. Holes (3/8 inch dia.) 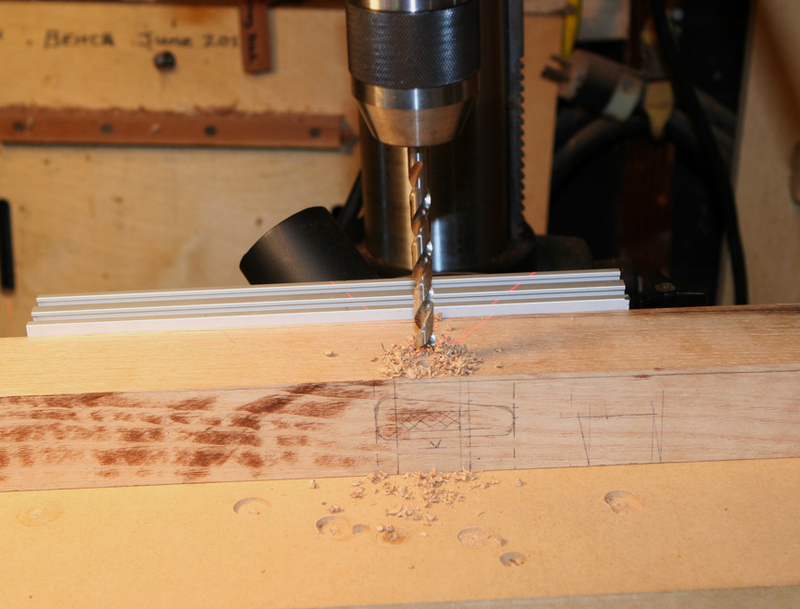 are drilled using the drill press. They are perpendicular to the outside faces. 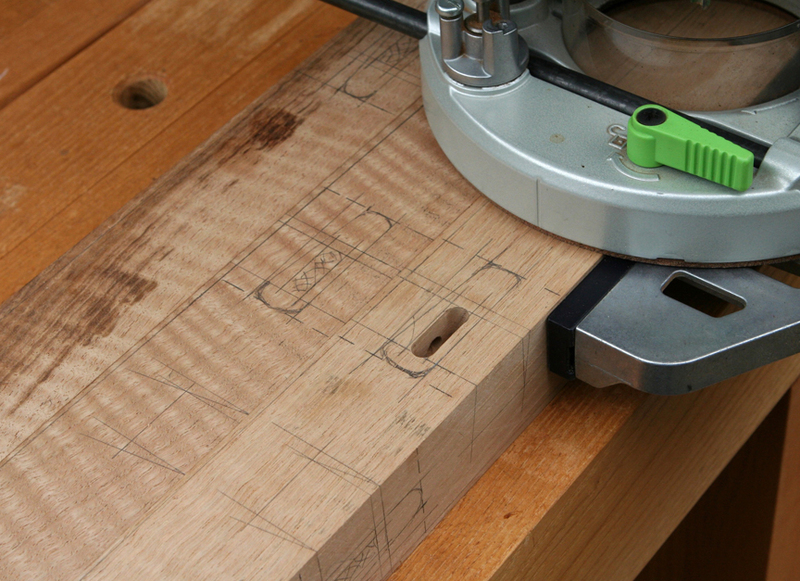 The router with spiral upcut bit is used to create some of the mortise. Because the mortises are angled, care is taken to mark how much and where material is to be cleared with the router. 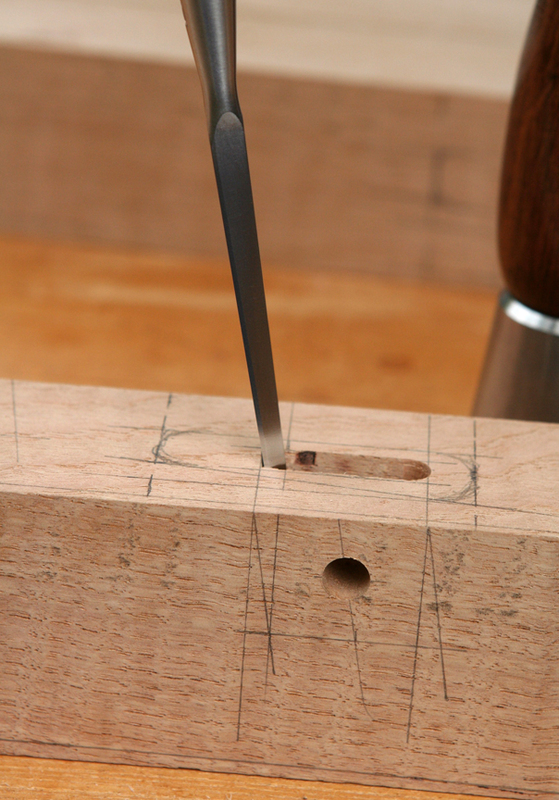 A 3/8 inch mortise chisel is used to complete the angled mortise walls. 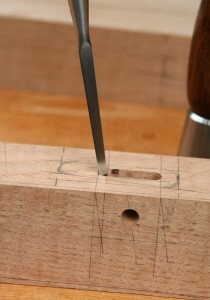 The layout lines on adjacent face are used to guide chisel orientation.